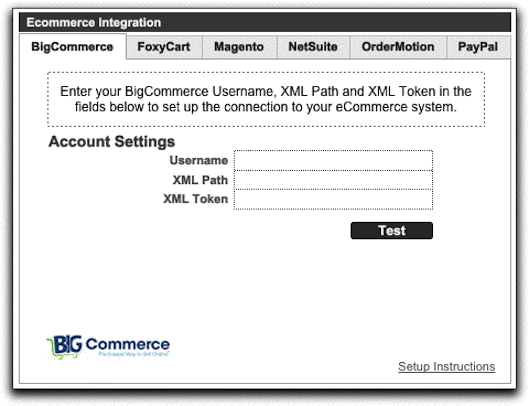 In order to complete the integration you will need to exchange data between NRG Ship Connect and BigCommerce. 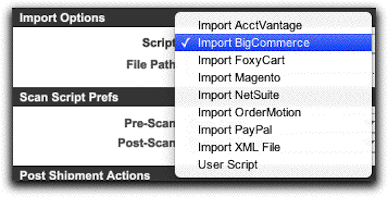 Within NRG Ship Connect, navigate to Preferences > Developer > Shipping Automation and under the Import Options section, select the “Import BigCommerce" as the script. Once you click on "Import BigCommerce" it will open the BigCommerce tab you see below. NOTE: Leave the NRG Ship Connect BigCommerce tab open. You will need to exchange information between NRG Ship Connect and BigCommerce. 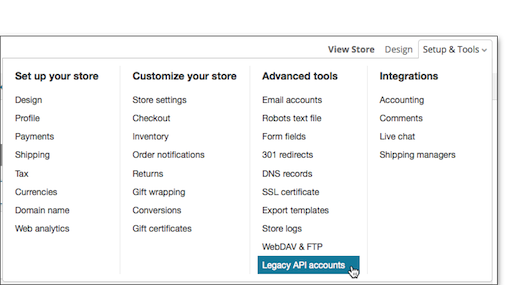 Set the User Role to "Store Administrator"
Copy the following fields from your BigCommerce user and paste it into the corresponding fields located on the NRG Ship Connect BigCommerce tab. 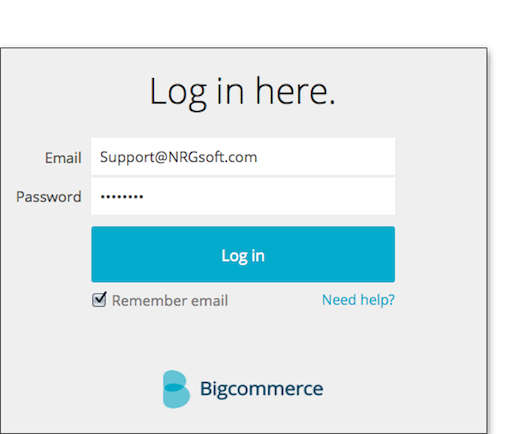 To verify the NRG Ship Connect BigCommerce Integration information, click the "Test" button and you should receive the message below. NOTE: The test will only verify if there is a BigCommerce order number of 100. 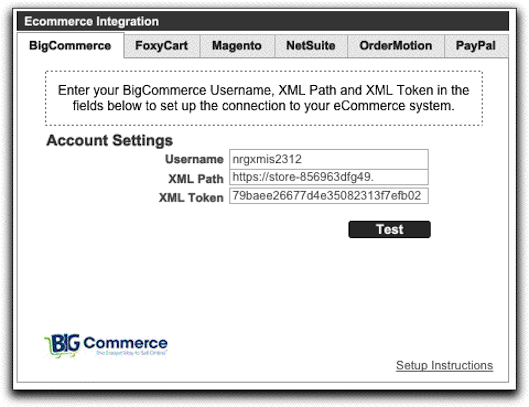 In NRG Ship Connect, once you select BigCommerce, the Custom Buttons section will automatically populate. These settings can be found within NRG Ship Connect Preferences > Developer > Shipping Automation Tab in the Custom Buttons section. See the default settings listed below. Custom Button 1 - Populates "Get Order” for the Label and “Import Single" for the Script. Custom Button 2 - Populates “Get All” for the Label and “Import Batch” for the Script. Show text entry field - This box should be checked. Once the integration is complete, you can download all of your orders by clicking on the "Get All" button; this will import all orders with a status of Awaiting Shipment. You can also download orders one at a time by entering the order number into the box and pressing the "Get Order" button.